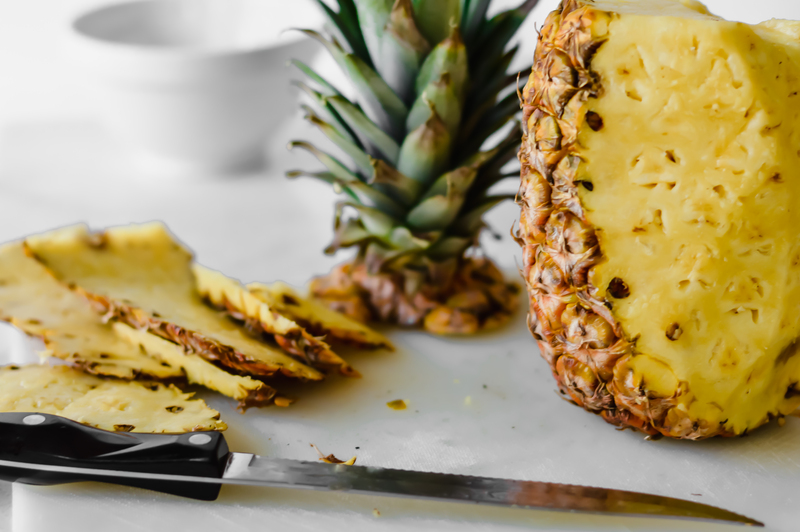 Using a cutting board and knife, first cut off the top “crown” and the bottom of the pineapple. 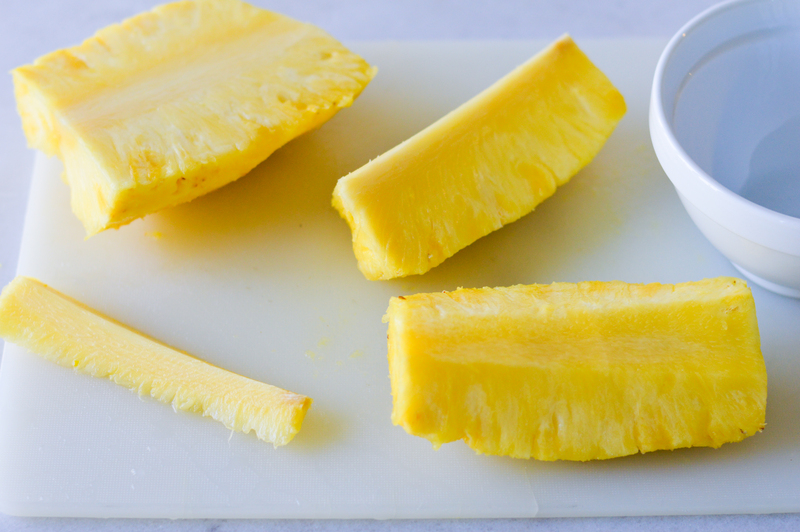 Next, stand the pineapple on its bottom base. 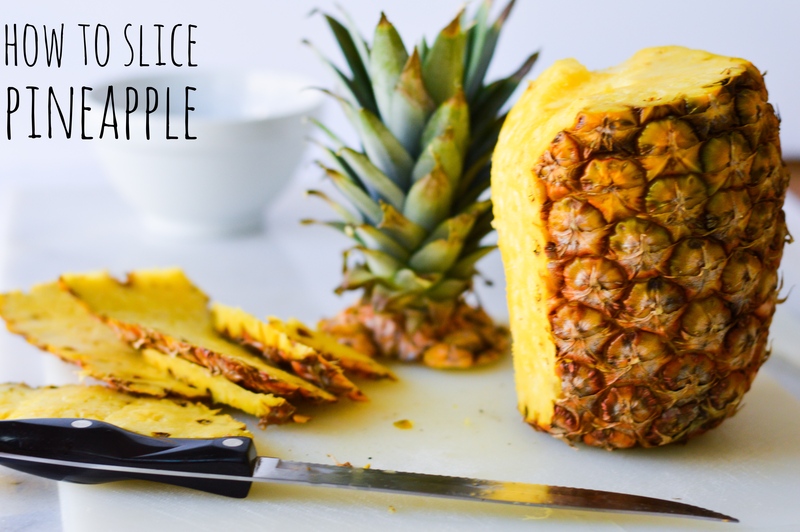 Slice off the outer skin in strips starting at the top of the pineapple and slicing downward with a sawing motion. You may need to go back and cut out any “eyes” you missed. 3. 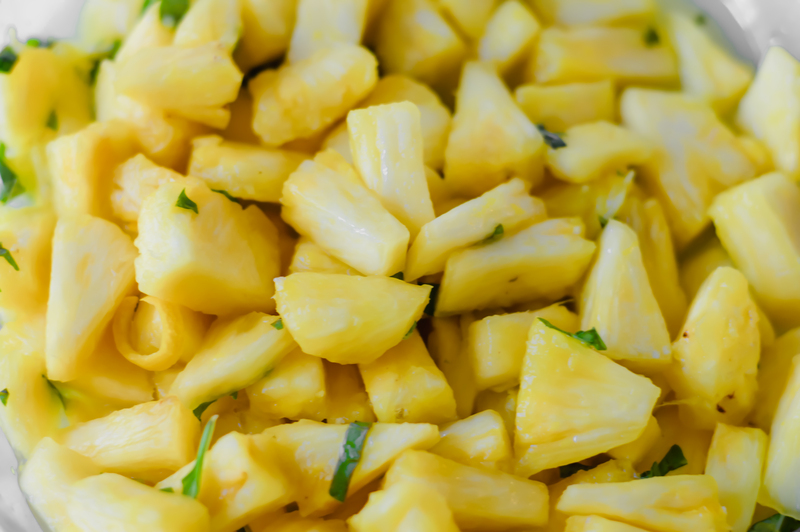 I like to cut the pineapple in quarters lengthwise, then slice down each quarter to remove the core. 4. Finally, I cut each quarter into four spears and slice off bite-sized pieces.